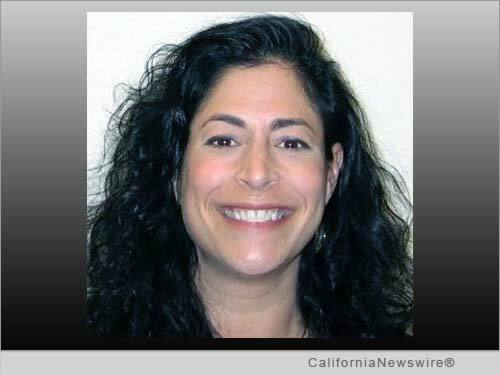 PETALUMA, Calif. /California Newswire/ — Edgewood Partners Insurance Center (EPIC), a retail property, casualty and employee benefits insurance broker/consultant, today announced the addition of Andrea Levin as a vice president in their Petaluma office. Levin brings 24 years of experience in the development and management of property & casualty insurance and risk management programs, working with a wide range of business and industry and specializing in financial institutions. Levin will report to North Bay property & casualty practice principal Mike Ryan. Her responsibilities will include acquiring new clients, growing existing accounts and overseeing the insurance and risk management programs of current clients. In addition, Levin will provide executive liability and financial services expertise and consulting support to the entire practice. "We are very excited to have another professional of Andrea's caliber join our growing North Bay team," said Ryan. "We are confident she will be an extremely valuable partner and resource to EPIC clients and our other team members in the region." Prior to joining EPIC, Levin spent more than nine years as an underwriting director with CNA Insurance, handling Directors and Officers Liability, Professional Liability, Employment Practices Liability, Fiduciary Liability, Cyber Liability and other key coverages for banks, specialty lenders, asset managers, insurance companies and commercial publicly-held companies. Before joining CNA, Levin was a vice president in the FINPRO division of Marsh, Inc. for seven years. "I appreciate EPIC's focus on innovation, creativity and absolute customer satisfaction, which allows their teams to deliver well structured, cost-effective solutions tailored to each client," states Levin. "Consistently doing so at a high level is unique in our industry, and surely one reason for EPIC's rapid growth here in the North Bay, across California and nationally." Levin is a graduate of Arizona State University where she obtained a Bachelor of Science degree in Finance. Additionally, she holds the Chartered Property Casualty Underwriter and Associate in Reinsurance designations. EPIC has more than 450 team members operating from nine offices across California (Los Angeles, Irvine, Inland Empire, Fresno, Folsom, San Francisco, San Mateo, Petaluma and San Ramon) and in Atlanta, Boston, Chicago, Denver and New York. With more than $100 million in revenues, EPIC ranks among the top 30 retail insurance brokers in the United States. Backed by the Carlyle Group and Stone Point Capital, the company's strategic plan calls for a dramatic increase in revenue ($250 million by 2018) and further expansion across the country. For additional information, please visit http://www.edgewoodins.com/.